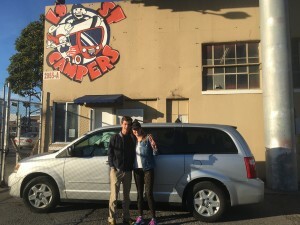 The Lost Campers San Francisco depot is located within the city limits, just 10-12 minutes from SFO airport and a 5-7 minute drive from downtown SF, in a very convenient location. Highways 280 and 101 are 1-minute drive from our office, which makes for an easy start to your road trip. Please call ahead if wanting to drop in, as we may not always be at our depot. If coming from the city of San Francisco, the Third Street Light Rail MUNI Line, (T-Line) departs from the stations along Market Street approx. every 15 mins. Disembark on the 23rd & Third St station and walk up the 2 blocks to our depot on Third Street at 25th Street. Current cost is $2 per person. BART, the Bay Area rail service, can be taken from SFO or Oakland airports (under $10 per person) to the downtown stations along Market Street, where you can change onto the T-line ($2-3 per person). Taxis or Uber are also relatively inexpensive from SFO airport ($30-35 one way) and from within the city center ($10-15). 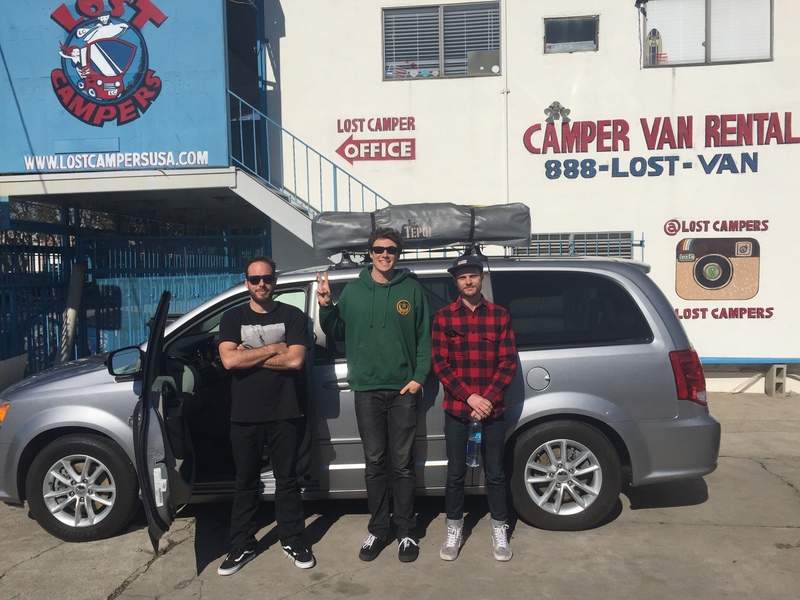 The Lost Campers LAX depot is located a five-minute drive from LAX Los Angeles International Airport. Highway 405, the major highway that runs from San Diego in the South, right through the center of the city and leads to Northern California, is also a one minute drive from our office. Can’t get easier than that! runs directly through the center of Salt Lake City is only a few minutes away. And the TRAX light rail system is a 15-minute walk from our office. Awesome! You will find us in the Downtown Storage building. You’ll see their signs first and know you are in the right place. Go to the front of the building and our sign is by the glass doors. Enter to find our office and start your adventure! Last pickups: 4.30 pm SHARP! 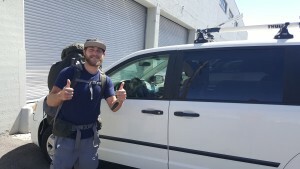 Upon pickup of your rental, we will give you details on how to drop your van if you are returning outside of regular business hours. You are also provided with our after hours phone number at the time of van pickup. We are always available to help! Closed Sundays & Major Holidays: Memorial Day, 4th July, Labor Day, Thanksgiving, Christmas Day, New Years Day. Last pickups will be at 12 pm on the day prior to Thanksgiving along with Christmas Eve and New Year’s Eve. Rental returns are permitted on these days using our after hours drop off system. All depot locations are closed for pickups on Sundays. Find your adventure. Get Lost!